Instantly downloadable sheet music (Musiknoten zum herunterladen und ausdrucken) von Richard Rodgers for guitar (ukulele) of MEDIUM skill level. Instantly downloadable sheet music (Musiknoten zum herunterladen und ausdrucken) von Richard Rodgers for piano solo of MEDIUM skill level. 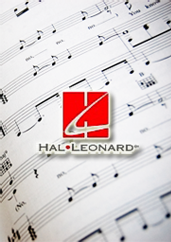 Instantly downloadable sheet music (Musiknoten zum herunterladen und ausdrucken) von Andrew Lloyd Webber for voice, piano and guitar of MEDIUM skill level. Instantly downloadable sheet music (Musiknoten zum herunterladen und ausdrucken) von Richard Rodgers for guitar solo of MEDIUM skill level. Instantly downloadable sheet music (Musiknoten zum herunterladen und ausdrucken) von Frederick Loewe for guitar solo of MEDIUM skill level. Instantly downloadable sheet music (Musiknoten zum herunterladen und ausdrucken) von Richard Rodgers for guitar of MEDIUM skill level. Instantly downloadable sheet music (Musiknoten zum herunterladen und ausdrucken) von Lionel Bart for guitar of MEDIUM skill level. Instantly downloadable sheet music (Musiknoten zum herunterladen und ausdrucken) von Lionel Bart for piano solo of MEDIUM skill level. Instantly downloadable sheet music (Musiknoten zum herunterladen und ausdrucken) von Lionel Bart for guitar (ukulele) of MEDIUM skill level. Instantly downloadable sheet music (Musiknoten zum herunterladen und ausdrucken) von Stephen Sondheim for piano solo of MEDIUM skill level.